If you’re familiar with Cincinnati band Walk the Moon, it is probably because of “Anna Sun,” the poppy song about letting loose and being a kid that has almost two million views on YouTube. “Anna Sun” was released as a single back in 2010 and has been what got the bands name on blogs, TV and festival line-ups. It was called one of the “30 Summer Songs Every Man Should Listen To” by Esquire Magazine as well as one of the Top Songs of the Summer by both MTV and Amazon. It was featured on Vampire Diaries and has apparently been in the playlist for American Eagle stores since May 2011. The song is good – it gets you dancing if you are in the mood to dance and gets you smiling if you are feeling down. But it grows old fast. It’s five and a half minutes long, when it could be just as effective in three. I loved it the first time I heard it, liked it the next few times, and now, usually hit the next song button at about the two minute mark when it shows up on shuffle. Unfortunately, that lack of interest about halfway through is what happens with Walk the Moon’s whole self-titled, inaugural album, too. The albums highlights are tracks four, five and six – “Anna Sun,” “Tightrope” and “Jenny,” in that order. “Tightrope” has a catchy chorus and danceable beat, similar to “Anna Sun.” “Jenny,” which rivals “Anna Sun” as the best song on the album, leaves a lot to the imagination lyrically but makes up for that with it’s uptempo drum kicks and infectious beat. “Fixin’,” track 10 on the album is a standout near the end, but it sounds a bit too much like the 9 songs that came before it to leave a permenant impression. One selling factor for Walk the Moon is that if you like the chorus or a certain verse of a song, you’ll be happy that the lyrics tend to repeat quite often. Sometimes it works, sometimes, like in “Next in Line,” it doesn’t. 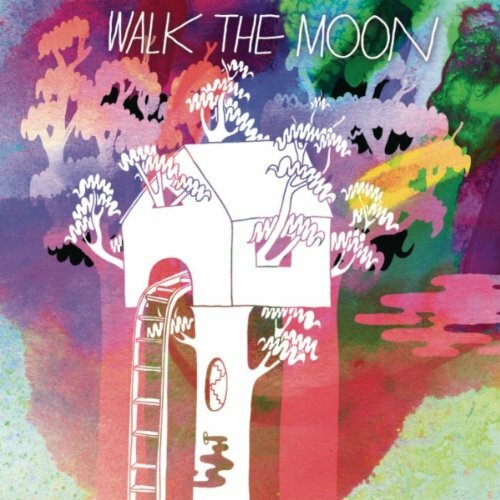 Don’t get me wrong – Walk the Moon is worth a listen. There are some catchy songs and the entire album is laced with catchy hooks and fun lyrics. It might even be worth a second listen, but after that, it loses its fun. Which is unfortunate, because judging by how much we heard “Anna Sun,” you’ll probably be hearing it a lot.